See the exciting iNSIGHT 1500c scanner in action! Expand the rapid, reliable color scanning delivered by your iNSIGHT 700c. 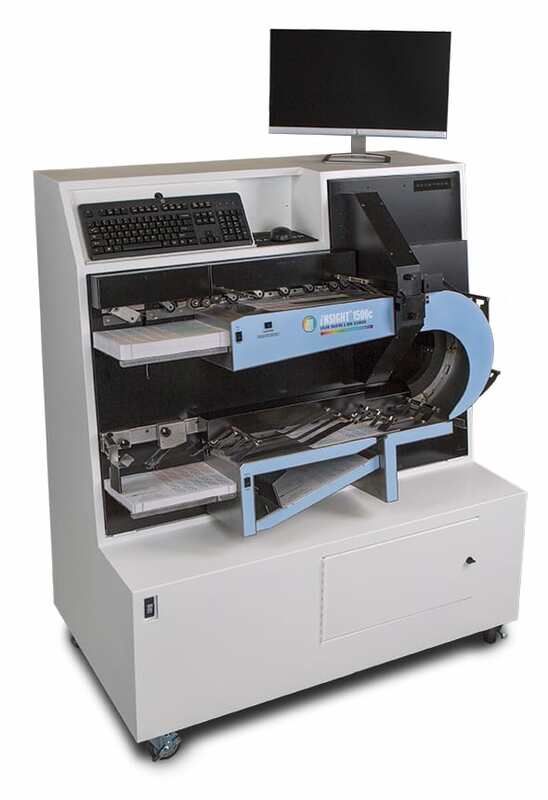 Take advantage of Scantron Flex Modes for sorting and grouping of scanned booklets without slowing your scan processes. Expand the rapid, reliable color scanning delivered by your iNSIGHT 700c. Sort forms with specified errors into a special bin for reprocessing without slowing your scan processes down.